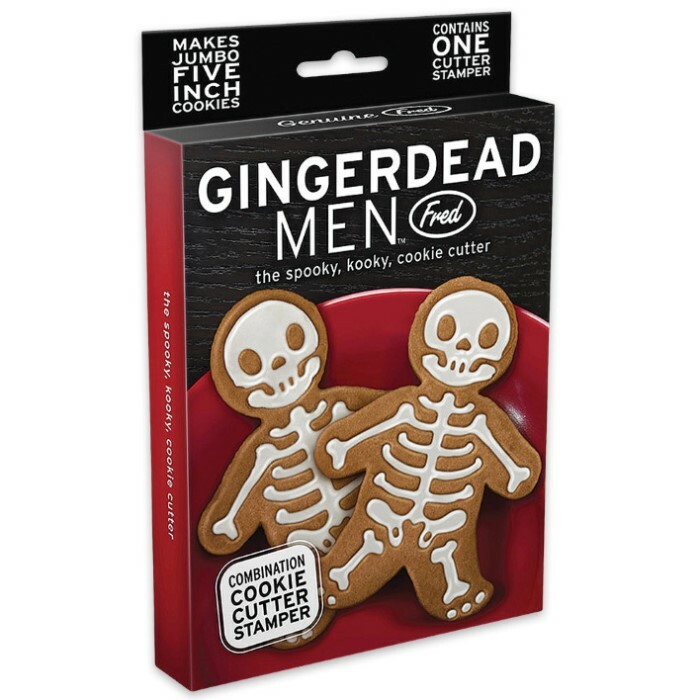 If you hear a spooky crumbling sound from the kitchen in the middle of the night, beware! It just might be the restless, sugar-overloaded spirit of the Gingerdead Man. 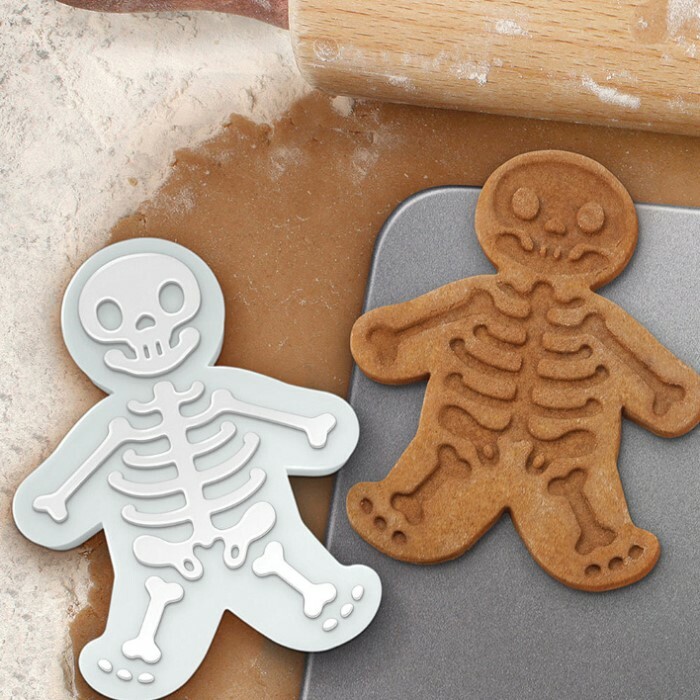 Make no bones about it – you've never seen cookies like these. 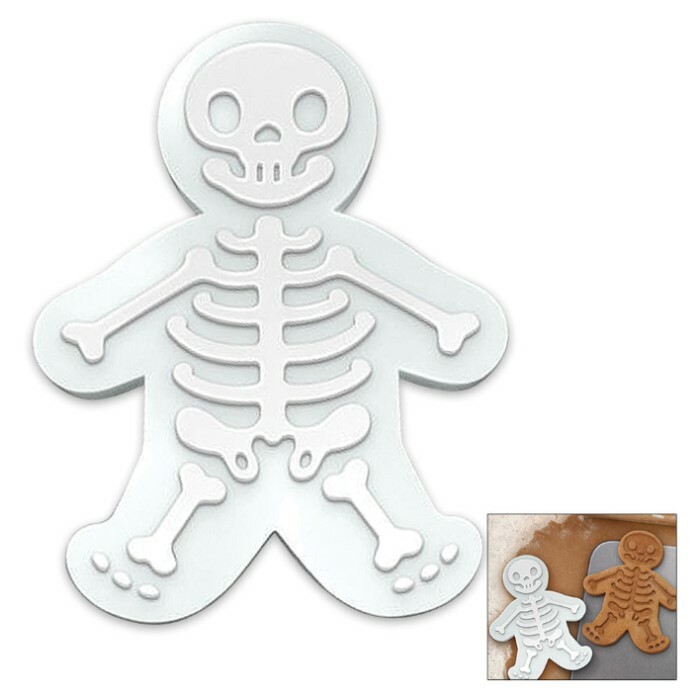 This double-sided tool cuts and stamps 5-1/2 inch cookies. It’s crafted of durable, food-safe plastic. Your only defense is to eat them before they eat you!